From Iraq/Afghanistan back to World War One, approximately 250 U.S. Military Chaplains have died in the service of their country in the last one hundred years. While their names are inscribed on four monuments on top of Section Two of Arlington National Military Cemetary,(“Chaplains Hill”) their stories, from their families, from their friends or from eyewitnesses have never been told in one place. We think it is time that the stories of faith, of selfless service, of patriotism and devotion of all 250 U.S. Military Chaplains should more accessible to the public in one place. 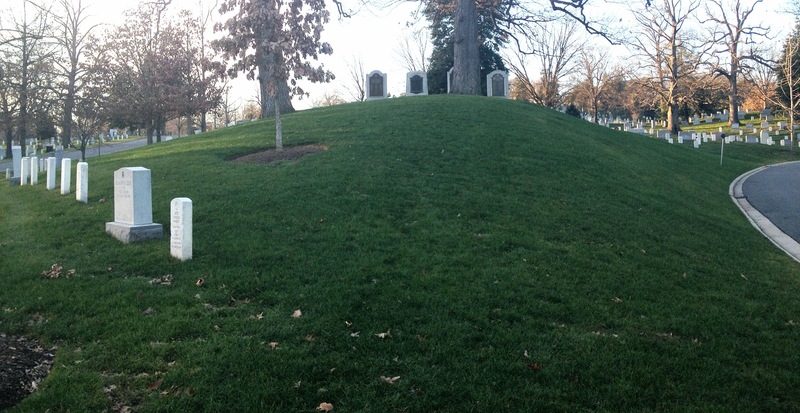 The four monuments on Chaplains Hill are to those lost in World War I, to Protestant Chaplains, to Catholic Chaplains and to Jewish Chaplains were dedicated at different times over almost a century. Telling the stories of these 250 Chaplains is not just about a single resting place, a single conflict, a single faith, a single branch of the military or a single Chaplain. Rather it seeks to provide this important information of all of the U.S. Military Chaplains who made the ultimate sacrifice in World War I, World War II, Korea, Vietnam and the Cold War. And while the names of U.S. Military Chaplains who have lost their lives in the conflicts in Iraq and Afghanistan have not yet been inscribed on Chaplains Hill, this web site seeks to honor them also. The Chaplains Hill Project will seek to work with the U.S. Military, military historians, veteran’s groups, non-profit organizations and the friends and the families of those who are honored on these four monuments. The Chaplains Hill Project hopes to receive photographs, stories, videos and other information that will be available through the web site. After digitizing these objects, the Chaplains Hill Project plans to donate these items to appropriate Military Chaplain museum and/or historian. The Chaplains Hill Project is a work in progress, with the web interface being developed and tested while the actual information of the approximately 250 chaplains is being collected. Families and friends of those honored on Chaplains Hill, along with those interested in helping in this project are encourage to email us at stories@fourchaplains.org or use the contact form to pass on their email addresses or to offer information to be eventually displayed on the web site. The Chaplains Hill Project is being developed by the Chapel of Four Chaplains, a private 501(c)(3) charity based in Philadelphia.